We hear these words too often in the era of digital technology when smartphones are literally stuck to our hands. Since we can’t help it, time waste issue is apparent. But did you know that excessive smartphone usage also leads to excessive money waste? Let’s explain why and how it happens. We all know that time is money, but this proverb has too wide sense. Today we will talk about money waste cases that happen on a daily basis. Social media were relatively safe for your wallet when they were intended only for entertainment. Things are different in 2018, when Facebook, Instagram, and other networks added a bundle of features to help businesses promote their services on the web. Now brands run advertising campaigns, invite influencers to leave reviews about their products, and launch chatbots to approach their potential customers. When you are innocuously scrolling through your feed, you can stumble upon a lucrative offer targeted precisely on you. After seeing it, you may not manage to resist and buy an offered product. You’re not an exception: according to Brandongaille.com website statistics, over 90% of people occasionally make impulse purchases. But with mobile phones, it becomes much easier to spend money: you don’t need to visit the store or withdraw money from your bank account anymore. All you need is to fill the lead form on the website and pay with your credit card or e-wallet. It’s a matter of 5 minutes. Conclusion: the more you spend time on social platforms, the more chances brands obtain to make you waste money on things you actually don’t need. It’s pretty hard to waste tons of money on buying apps since most developers have embraced less straightforward monetization models. Among popular options are freemium and subscription. Freemium apps are free to download, but when you run an app, you will be asked whether you want to pay a fee and get access to the full list of features of this application. Otherwise, you will be able to use only basic features. Subscriptions are even worse because they are long-lasting. For example, you can buy 1-year Adobe Creative Cloud subscription but stop using Adobe Lightroom or whatever after 3 months. Sometimes people simply forget about subscriptions they are paying for since the system writes off a fee from your credit card automatically. And if you stare at the screen 24/7, you risk downloading more apps on Apple Store or Google Play based on a freemium or subscription model. And the more you use them, the more you get used to them and become a potential payer of their toll. Games with in-app purchases are similar to freemium apps: they are always available for free. However, apps usually offer some useful features in their paid premium versions, while games are more focused on selling valuable in-game items. At first sight, there is no issue. You can dispense with free items and simply don’t buy anything. But here is a trick. When the game is engaging, there comes a point when you decide to make a couple of in-game purchases to have unlimited fun. After your purchases expire, you realize that the gaming process is not so exciting without additional items you bought last time. You repeat the purchase again and again. This can be applied not only to games. For example, Viber messenger offers additional sticker packs for $1.99 each. If you use messengers rarely, you won’t likely buy these packs — you are happy with free stickers you already have. But if you are somehow “addicted” to messengers, you may easily spend money on this to diversify your chatting experience. Although games with in-app purchases may be severe money suckers for gaming addicts, there are things even more threatening to your pocket. We are talking about mobile-friendly casinos. They make games for real money as accessible as regular mobile games because all you need to play is your smartphone. This way, registration in an online casino becomes as easy as pie: you should simply download an app or sign up on the mobile responsive website and make your first deposit via credit card tied to your phone. It’s so simple to gamble via mobile phone, that a lot of people don’t take it seriously. For them, it’s no different from making other impulsive purchases. But actually, gambling is a way more expensive since it causes an addiction. The number of freemium subscriptions or in-app purchases in any other game is usually limited, while gambling implies unlimited expenditure. 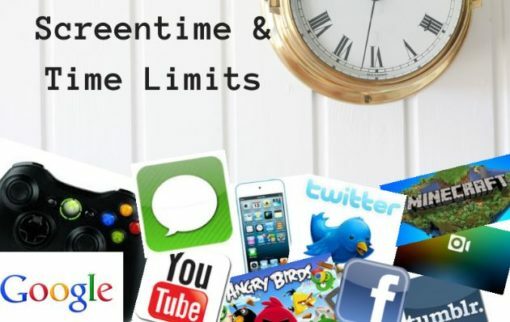 Applying a time limit to the usage of your apps, messengers, or browsers, you prevent yourself from spending money on unnecessary things and destructive activities like gambling. How to do this? If you want to limit your screen time, smart applications like Screen Time, Family Time, and TimeLock come to rescue. Initially designed for parental control, they may be used for the personal time management, too. How do they work? Any of these apps allow you to set daily limits on each activity. If you spend, let’s say, 3 hours per day on playing games, you can limit your gaming time to 1 hour per day. Playing just one hour per day, you won’t need to purchase “energy boosters” needed for long-lasting sessions. To sum up: Screen limitation may truly save you from a few reckless purchases. But what’s more important, it helps you shift your attention to more useful things like health, relationships, and self-development. However, there are lots of things outside of virtual world pushing you toward other money wastes, sometimes way larger than those you have on your mobile phone. But this question deserves another article.